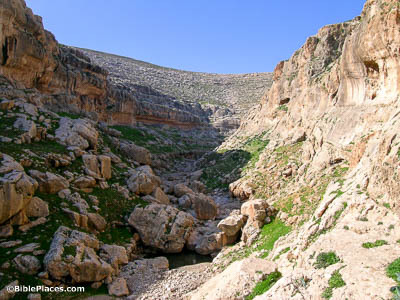 The translation “shadow of death” is familiar to English readers, although the true meaning of the Hebrew term is probably “dark shadow.” Even during a bright, sunny day, the depths of a canyon can be covered by a dark shadow, making it difficult to see danger. 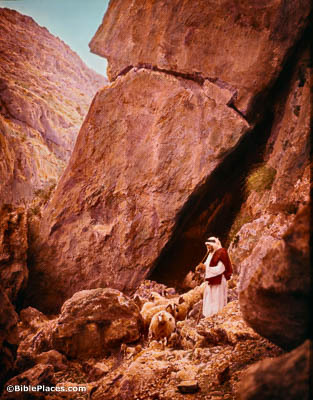 Narrow passes like this one in Nahal Perat might hide many threats to sheep in its dark crevices. The “valley of the shadow of death” is a metaphor for life’s darkest days, when one is weighed down by sadness, sickness, oppression, and danger. 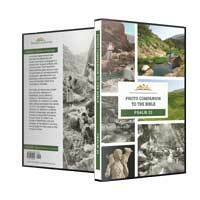 This particular valley, called Nahal Mishmar, is one that must have been familiar to David. 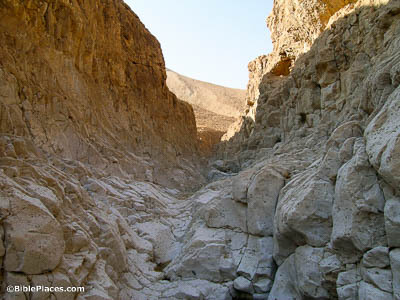 It is situated in the Judean wilderness between En Gedi and Masada, in an area that David would have traversed many times. The translation “I will fear no evil” is familiar, but the Hebrew word translated “evil” can refer to any bad happenstance, or to any type of calamity. The greatest threat to a flock of sheep was predatory animals — especially, in ancient Israel, lions and bears (cf. Prov 28:15; Lam 3:10; Hos 13:8; Amos 5:19). The Asiatic lion was the species of lion that inhabited the land of Israel during the biblical period. 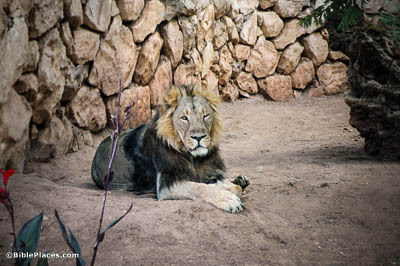 This lion, photographed at the Jerusalem Biblical Zoo, is the type that David killed in order to protect his flock of sheep (1 Sam 17:34-37). The reason why David does not fear is because of God’s presence. Sheep can be at peace and fearless as they pass through dangerous areas, knowing that the shepherd is there to protect them. Likewise, God’s people can be assured that He is always present to protect them during trying circumstances. No matter how dark our surroundings, the Lord is still there with us (cf. Matt 28:20; Heb 13:5). This hand-colored American Colony photograph was taken between 1900 and 1920.